Whether Husband / Wife Can Constitute A HUF ? It is always a question of debate as to whether a HUF can consist of only Husband and wife without any child. As we have seen that the Apex Court had decided in the case of Gowli Buddhana( 60 FIR 23) that a temporary reduction in the number of coparceners/members of a HUF cannot invalidate the HUF, therefore following the judgement, it is quite very well possible that a valid HUF can consist of only husband and wife. However, there is an important difference in so far as. the first time constitution of a new HUF by Husband and wife and a HUF being reduced to only two members consisting of Husband and wife on account of death of another member. The judgment of Gowli Buddhana (Supra) had more to do with the later event and not the earlier event. 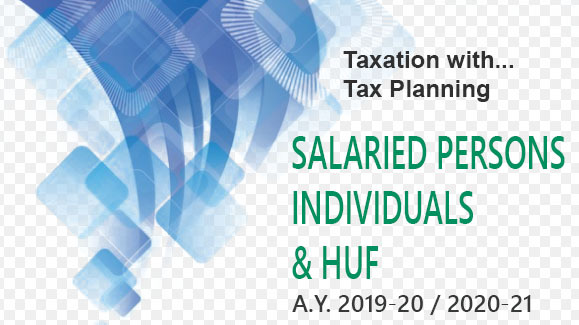 Ihus, from the point of view of 1 hindu law, the HUF consisting of Husband and wife may not be held to be valid, however for the purposes of Income-tax Act, 1961, the HUF as a unit of taxation can very well consist of only Husband and Wife and is recognized as such.